Very simple disk defragmenter which will defrag the files and optimize your system. The files saved on your hard disk will become fragmented for various reasons. Because of this, your hard disk is extra busy gathering data from different fragments located at various locations on the hard disk in order to access your files. This process degrades your hard disk performance and overall system speed which gets gradually worse over time. In addition, the read/write speed of your hard disk varies by location and the files on your hard disk are randomly distributed. Therefore, you lose any potential speed gains from other system optimization programs. Puran Defrag provides the solution! 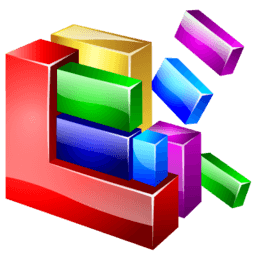 Puran Defrag is a very simple disk defragmenter which will defrag the files and optimize your system, collecting all the fragments of a file and putting them together, as well as moving some frequently used files and all directories to faster disk areas. This process boosts your hard disk performance and thus overall system speed. In addition it reduces wear and tear on your hard disk, thereby increasing its life span. Minor Fixes and Changes. Now Free for private and non-commercial use only. UltraDefrag is powerful Open Source defragmentation tool for Windows NT. Piriform, the company that brought you CCleaner and Recuva, now brings you a file defragmentation tool.